Johann Strauss II is undoubtedly the father of the modern waltz - but who is looking after it in the meantime? We can think of only one man - André Rieu. Here's how he's managed to keep the music of Johann Strauss II alive. André's obsession with the original waltz king began at an early age: "When I was 4 or 5, I attended my father's concerts. He very often played Strauss waltzes as encores and I saw something happening with the audience." After falling in love with the waltz at college (he played Franz Léhar's Gold und Silber waltz in concert), Rieu decided that this really was the music for him: "I was immediately spellbound by that beat which, years later, has almost become the rhythm of my life: three-four time, the rhythm of the waltz." He formed his very own 12-piece orchestra in 1987, taking its name from the composer that gave him the most inspiration - the Johann Strauss Orchestra. After European tours that saw André and his Johann Strauss Orchestra taking the waltz to new places and new audiences, it was time for them to put their devotion to Strauss on record. In 1994, they released Strauss & Co., which became a huge commercial success in the Netherlands. In 1999, André paid tribute to the composer he admires so much with this album, stuffed with Strauss classics. 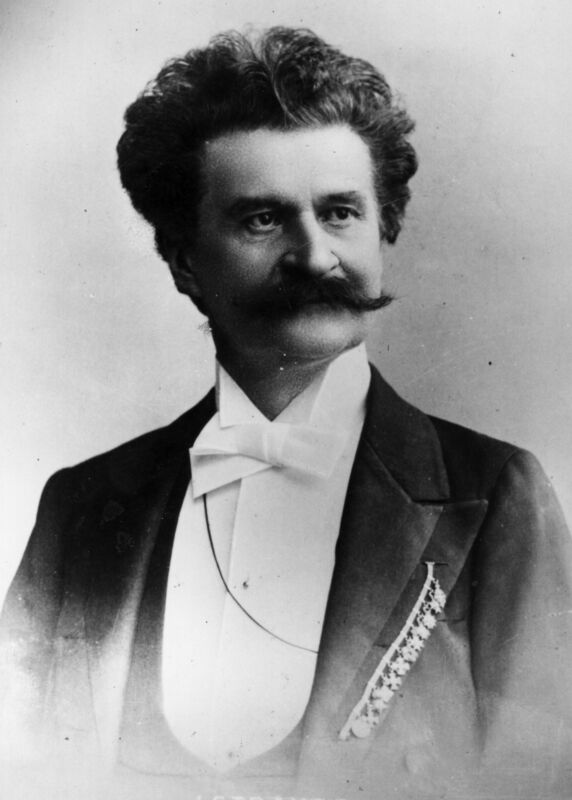 Rieu himself said: "On June 3, 1899, the Waltz King, Johann Strauss Jr, died in Vienna. My admiration for this composer is so great that I wanted to honour the centenary of his death with this album." In 2012, Rieu's orchestra turned 25, proving that the waltz really did have legs. From those humble beginnings with just 12 members to a fully-fledged touring orchestra with about 60 musicians and singers, the orchestra continues to bring the music of Johann Strauss to mass audiences. Here he plays Strauss' Kaiserwalzer to a sold out crown in his hometown of Maastricht. According to André, playing a Strauss waltz well is tricky: "It is a real piece of art if you can make a waltz sound like it is the easiest piece of music to play, because it's really not." Tune in to John Brunning's show after 5pm today to hear him play André's version of a Johann Strauss classic!